By swico_admin in Swico News on November 30, 2016 . 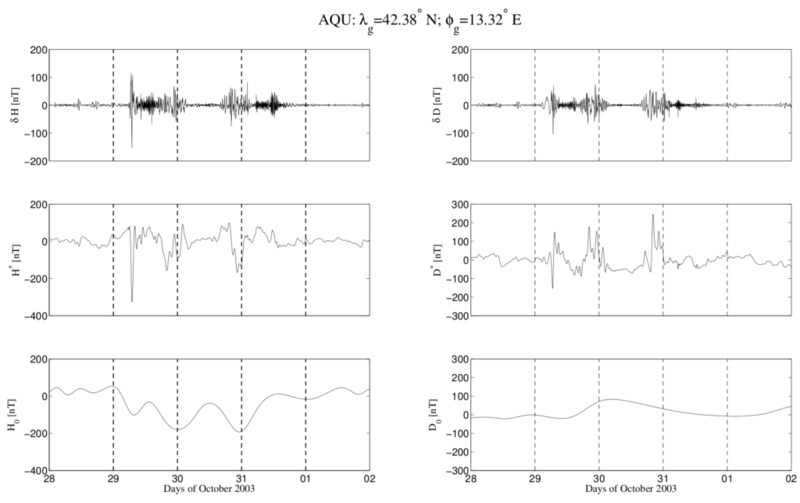 We announce to the community a recently published paper on the identification of the different magnetic field contributions during a geomagnetic storm in magnetospheric and ground observations. The authors of the paper are SWICo members from different institutions. We investigate the time variation of the magnetospheric and Earth’s magnetic field during both quiet and disturbed periods. We identify the timescale variations associated with different magnetospheric current systems, solar-wind–magnetosphere high-frequency interactions, ionospheric processes, and internal dynamics of the magnetosphere. In addition, we propose a new local index for the identification of the intensity of a geomagnetic storm on the ground.